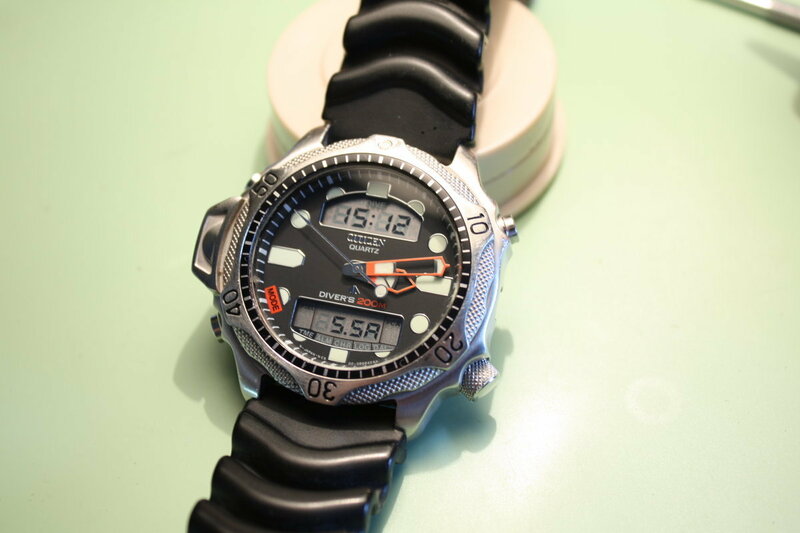 In this blog entry I present you a Citizen C500-S016061 from 2009. 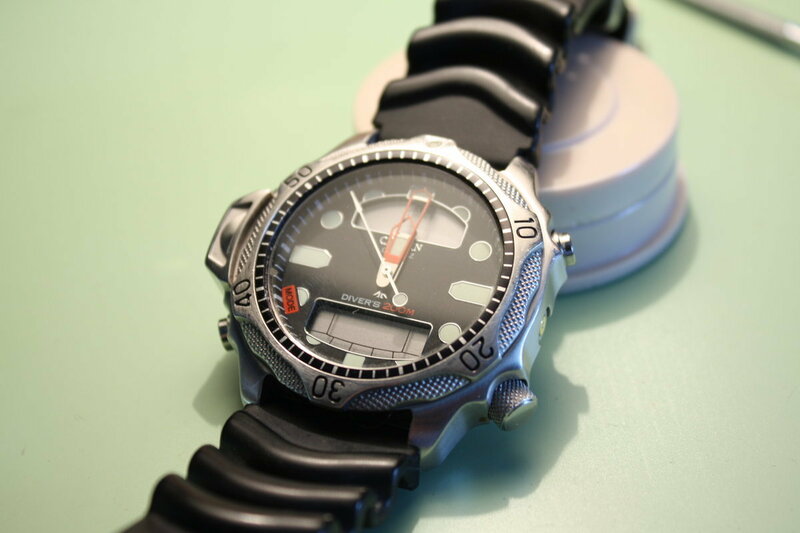 It is yet another diver´s watch, although a much newer one compared to this classic LIP Nautic Ski. 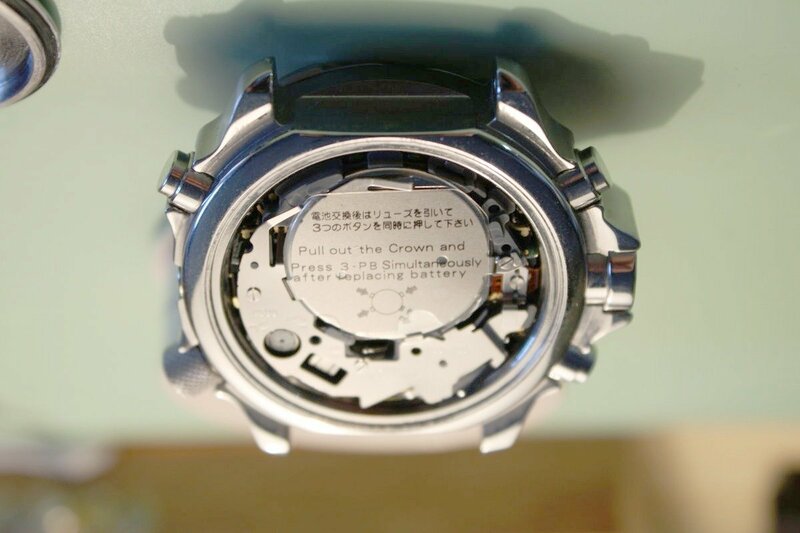 It did not need much rework except for a new battery and a basic cleanup of the case with renewal of the main gasket. The first photo shows the watch as I got it. 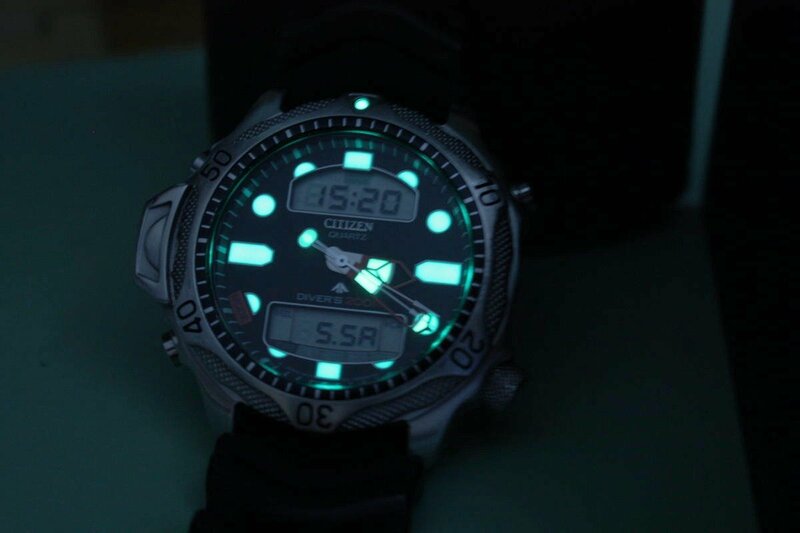 As with most watches intended for diving the hands and markers carry a significant amount of bright-glowing luminous paste.